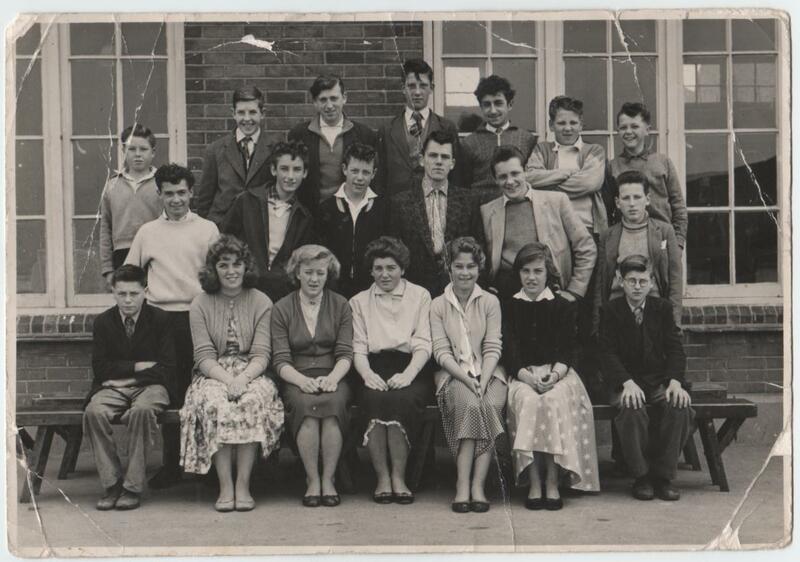 A photo of my classmates from St Chads school, Tilbury, late 1950’s, just before we left school. Back row: Norman Barwick, John Bellingham, Eddie Goldsmith, Peter Bardock, Fred Lee. 2nd. row: Peter Unferville, Kennie McKennzie, Alan ?, Clive Forman, Melvin Rogers, Teddy Fairman. 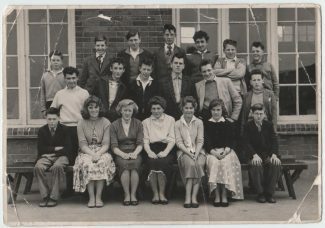 3rd row: Peter Dale, Pat Boyce, Freda Dove, Wendy Dench, Lilly Archer, Marilyn Green, ? Ashdown. hi all my name is Freda Roberts ne Dove i lived in Raphael Avenue .when i left school i went to work at bata shoe factory i have three children i now live in corringham i love walking and reading .its funny when you get older you have a lot of time to think and i woder sometimes what happened to people who you went to school with . If my memory serves me right, Norman lived down Parker Avenue. John Bellingham family had grocery round. I remember going to Peters Umfervile’s house on way to school his mum gave him a sixpence for sweets seemed a fortune to me coming from a poor family! I’m fine thank you Lynn, a few years older than picture but in good health. I hope other pictures turn up there must be some about. Hi Ted I remember you at school glad you like the photo takes you back a bit! How are you? I have a list of names but no faces. Hi Lyn, are you related to Norman Archer (tosher) ? Had another look at pic think boy in back row last right is Johnny Bell. great photo.